Trio from Vancouver,Washington consisted of Darwin Lamm,Bobbi Brown and Janet Peters. -Goodnite My Love/Won't You Give Me A Chance. Jerden Records-1960. 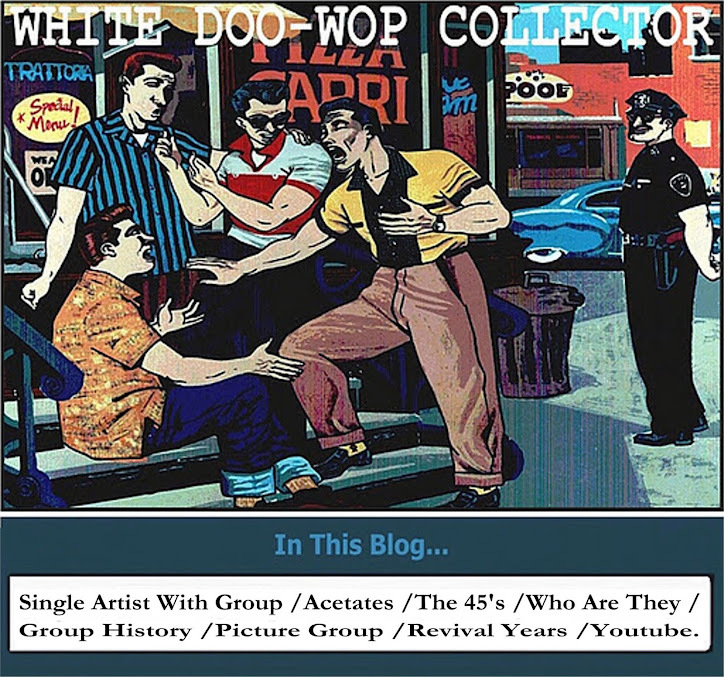 Darwin Lamm was an 18 year-old singer/songwriter living in Vancouver, Washington in 1960 when he heard Bonnie Guitar was appearing in town at the “Frontier Dinner Club.” Bonnie had several hit records on her own but was also credited with discovering the group The Fleetwoods. Not yet of legal drinking age, Darwin nonetheless grabbed up a couple of songs he had written with The Fleetwoods in mind, and headed for the club where Bonnie was singing. The doorman, of course, stopped him at the door for I.D., but, by claiming he had some important papers for Bonnie, young Darwin was allowed to enter and sit back by her dressing room. After Bonnie finished her set, Darwin met her outside her dressing room, where he actually sang his compositions in a live audition. Little did Lamm know, but Bonnie was looking for another Fleetwoods-like group. When she learned Darwin was working with Bobbi Brown and Janet Peters, two female singers known as The Cupids, Miss Guitar believed she had just found her next Fleetwoods trio. At this time, Bonnie and Darwin met with Seattle music distributor Jerry Dennon who was anxious to start his own label. All that was missing was a singer and some songs, both of which were supplied when he signed Darwin & The Cupids. Their “How Long” – produced by Bonnie Guitar – became the first-ever Jerden single (Jerden 1) in 1960. Within weeks “How Long” was the Northwest’s hottest hit, reaching the top of the charts. 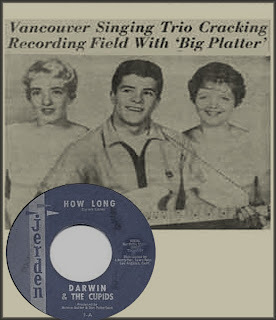 Darwin & The Cupids were in constant demand, playing rapid-fire dates for 10,000 plus crowds, such as the 1960 “Show of Stars.” “How Long” was included on the album Original Great Northwest Hits Volume I. On the heels of “How Long” came Darwin & The Cupids’ equally popular follow-up: “Goodnite My Love” (Jerden 9). After the two Jerden hits, Lamm moved to Los Angeles and from 1963 to 1965 recorded for Dore Records as “Darwin.” He also produced records by other artists for L.A.-based labels like Liberty, Dot and Dore Records.